Floating through a vast chasm, seemingly freed from the constraints of gravity, Liz Rogers explores the massive chamber of an underwater monolith. Flanked by gently swaying pond weed, photographer Liz glides past the white limestone walls of 'the Cathedral' to a spot where it is possible to look up from 30 metres down and see clouds in the blue sky above. Such is the amazing clarity of the water in the Cathedral, part of the Piccaninnie Ponds cave system on the Limestone Coast of South Australia. 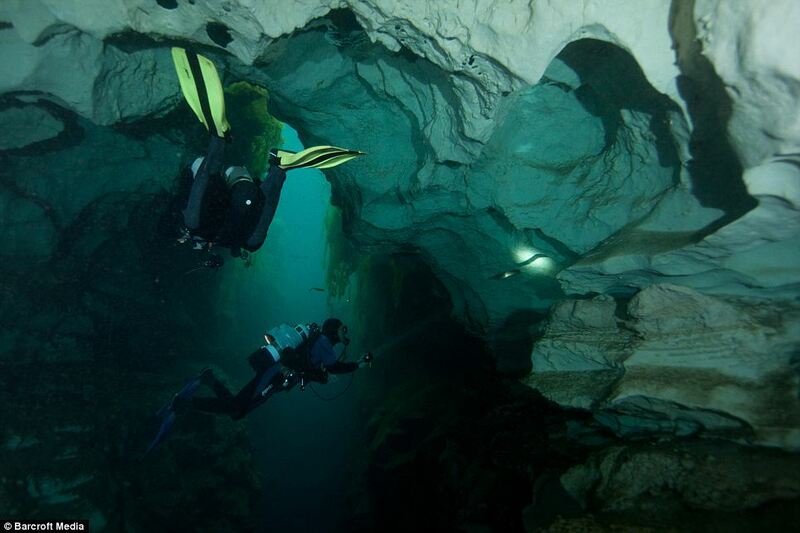 Liz, a 25-year-old diver and photographer from Melbourne, is fascinated by the underground network and she and her colleague Ken Smith are members of a project to measure the saline levels of the freshwater caves. 'In crystal-clear cave waters, I feel like I'm flying,' Liz explained. 'I enjoy the whole experience of being weightless and free underwater. 'With the camera, I'm often thinking about the best way to convey how the dive feels through the lens to people who may never do anything similar. 'It's about getting the right angle to give a perspective on the scene, and getting the right lighting happening to explain the shot. The Cathedral, a large underwater cavern, was created over thousands of years by fresh water slowly filtering through limestone, rising to the surface under pressure and eroding the stone to form the huge chamber. Above the Cathedral is the Chasm, a huge chamber popular with snorkelers, which was formed by the same processes. More than 90 metres down Australian cave divers recently discovered a 'Chamber of Secrets', a room that sits directly underneath the Cathedral, which has yet to be fully explored. 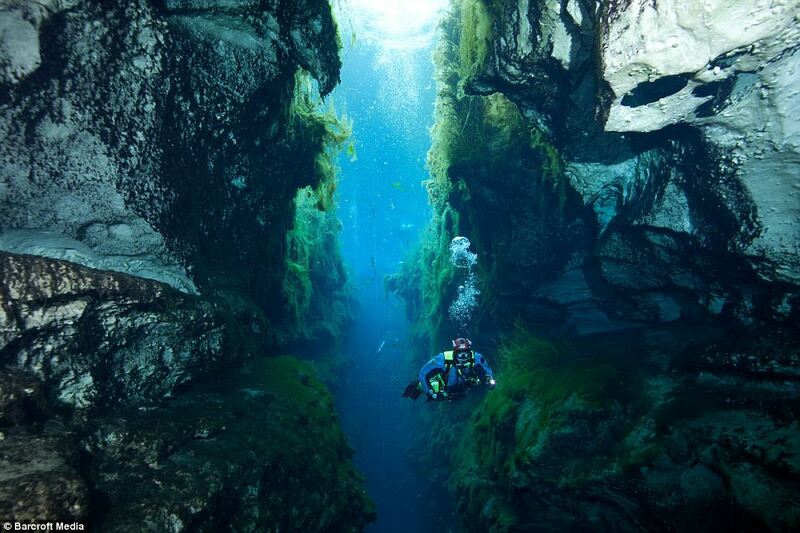 It's not currently clear whether there is a vertical connection between these two areas that would allow a diver to pass. 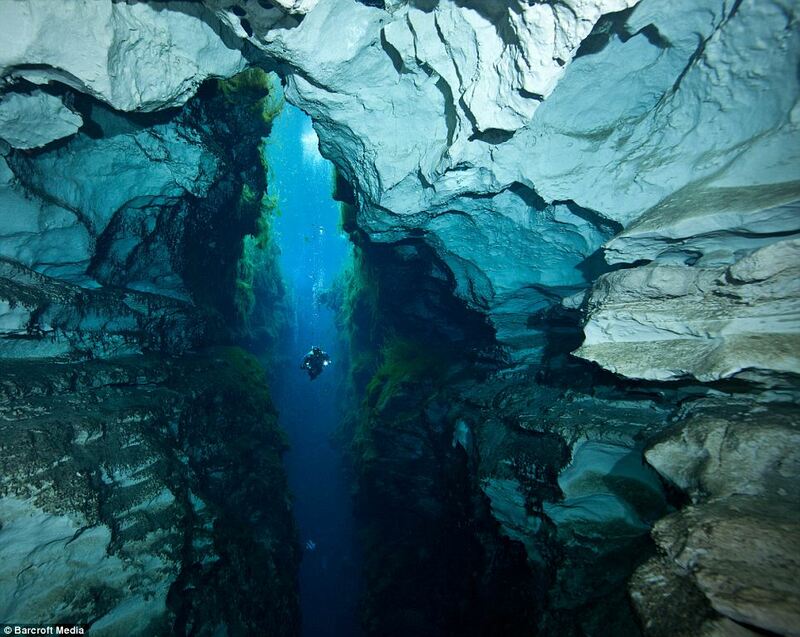 Unsurprisingly, the system of caves has become a Mecca for underwater explorers. However, after a series of non-qualified diver deaths, access to them is now strictly controlled. 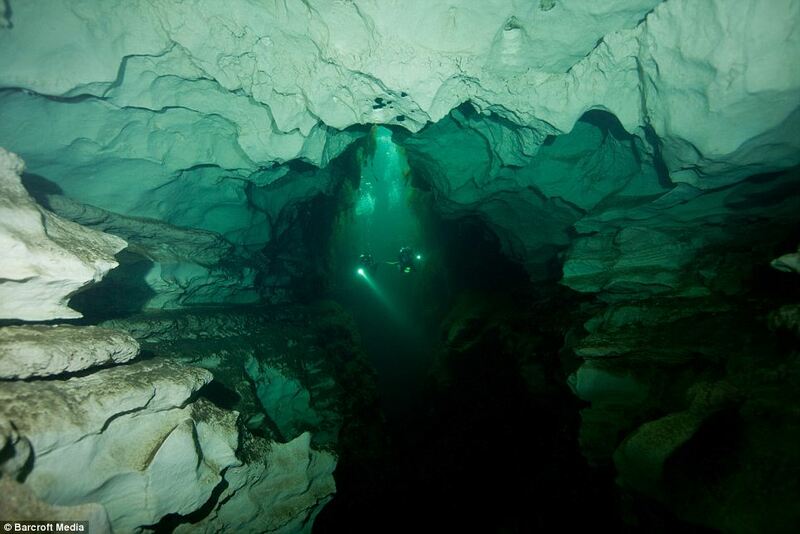 Liz said: 'Cave diving is all about redundancy and planning, and thinking things through before you get in the water. 'On a standard cave dive there's already a lot of things to think about - air consumption, navigation through the cave, decompression obligations, buoyancy and trim. Working with a group of experienced divers, Liz dives to more than 35m to place salinity monitors at various depths in the cave. The project is also hoping to determine the amount and direction of water flow between different lower and upper areas of the cave, and to explore the deeper sections. Liz, who made her first dive in 2005, started taking pictures underwater about three years ago.